Why Choose DNA IT ? 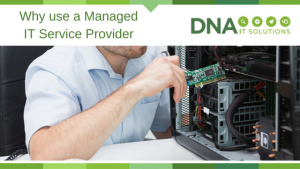 DNA IT Solutions aim to deliver superior customer service along with high levels of engagement to clients in all aspects of Information Technology. We have grown to become a significant provider of Managed IT in Ireland. We work with organisations of all sizes that operate in many industry sectors. We ensure that your business runs smoothly on a daily basis when using your IT infrastructure while introducing profitability into your business by saving on time, hardware and software. Working with known partners such as IBM, Microsoft, Autotask, Dell, Hewlett Packard, Cisco, Sophos, KeepItSafe and VMWare to ensure we have a complete range of solutions for our customers. DNA IT Solutions have been chosen as one of just a few IBM Cloud Partners in Ireland. We have been selected based on our experience within the sector and our expertise in providing customer solutions that work. IBM Cloud gives you the highest performing cloud infrastructure available. One platform that takes data centres around the world that are full of the widest range of cloud computing options. We work to the ‘DNA Way’ and that is to be honest, objective and business orientated. Our objective is to integrate our IT experience and skills within your organisation to deliver maximum value in a cost effective way. We want to become your IT partner for the long-term. Blue Insurance is a multi award winning Insurance provider. This case study showcases how DNA IT Solutions have helped Blue Insurance maintain strong growth in the Irish and International markets, using the IBM Cloud platform. us by post, phone or email.